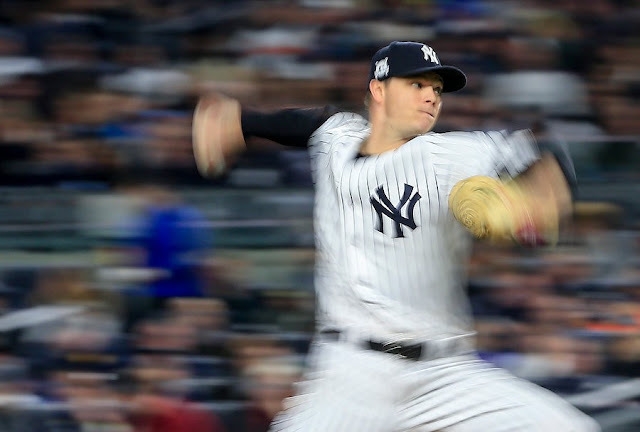 The game was expected to be a pitching duel between Sonny Gray and Lance McCullers, Jr but then again, with the exception of Monday night's game, every game has featured stellar starting pitching. 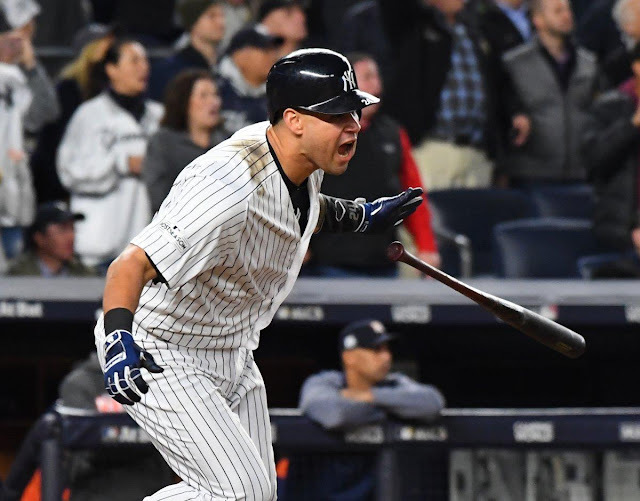 Former Yankee Carlos Beltran picked up the game's first hit when he doubled to the right field wall off Yankees starter Sonny Gray with two outs in the second inning. Fortunately, he didn't get to experience third base but the early goings of the game saw a few runners left stranded. All dressed up and nowhere to go. 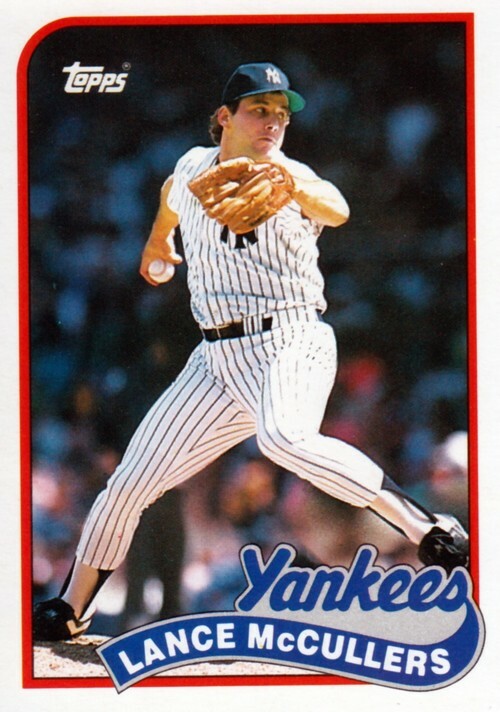 I knew that Lance McCullers, Jr was going to be tough on the Yankees. Despite his inconsistent year, he has generally been very strong when facing his dad's old club. The bottom of the 4th brought an interesting play albeit with no runs for the Yankees. Aaron Judge walked to start the inning for the Yanks. With one out, Gary Sanchez flied out to right. On El Gary's fly, Judge was running with the pitch. He turned after running past second and ran back to first after realizing the ball had been caught but was called out as he slid back into the bag. 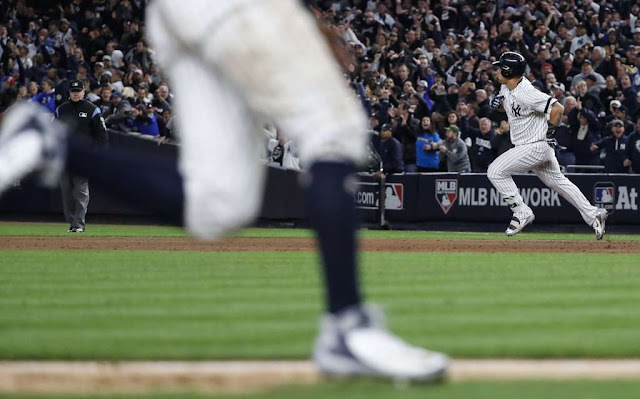 The Yankees challenged the play which confirmed Judge's foot had reached the base before the ball, however, when Judge was at second and passed the bag, he did not re-step on the bag on his way back to first. 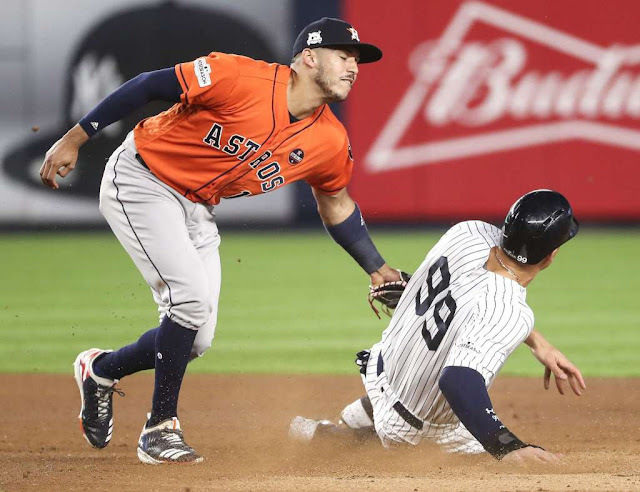 As the Astros prepared to throw to second as a follow-up to the challenge play at first, Judge made the break for second. The Astros threw Judge out on the play but, technically, he was out for that "misstep", ending the inning. A lesson learned for the big guy. 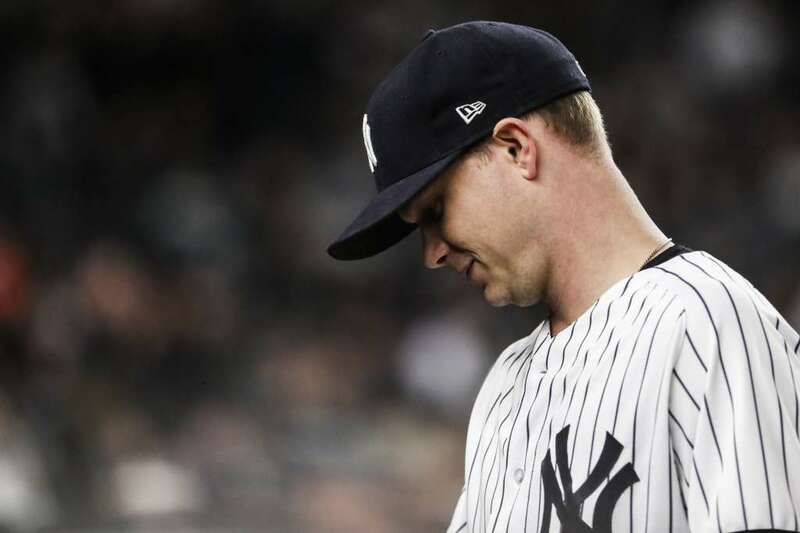 Poor Sonny Gray. The guy never gets any run support and Tuesday was no exception. The game entered the sixth inning still scoreless for both teams. After Gray walked George Springer, Gray's former Oakland teammate Josh Reddick reached base on catcher's interference by Austin Romine (much to Romine's chagrin). Despite allowing only one hit up to that point, Manager Joe Girardi made the decision to pull Gray one pitch into the next at-bat (Jose Altuve), a ball in the dirt, and replaced him with David Robertson. Chad Green replaced Robertson in the top of the 7th inning. He struck out former Yankee Carlos Beltran for the first out, but then gave up a double to right center by Marwin Gonzalez. Brian McCann hit a grounder to second baseman Starlin Castro in shallow right but the ball ate up Castro for an error, allowing McCann to safely reach base. Gonzalez scored on the play to increase Houston's lead to 4-0. George Springer hit a grounder to third that Todd Frazier turned for a double play, second to first, to avoid further damage and send the game to the bottom of the 7th. Trailing by four runs with Lance McCullers, Jr pitching a shutout, Aaron Judge stepped to the plate. Judge hammered McCullers' first pitch over the wall in center field into Monument Park for a home run. The Yankees were on the board. The Astros still held a 4-1 lead, but McCullers was finished. The Astros brought in Chris Devenski to face Didi Gregorius. Didi tripled to the left-center field wall. Gary Sanchez was next and he hit a sacrifice fly to right to score Didi. The Yankees had closed the deficit to two runs. Greg Bird walked to finish Devenski's stay and Joe Musgrove came in to retire Starlin Castro and Aaron Hicks. 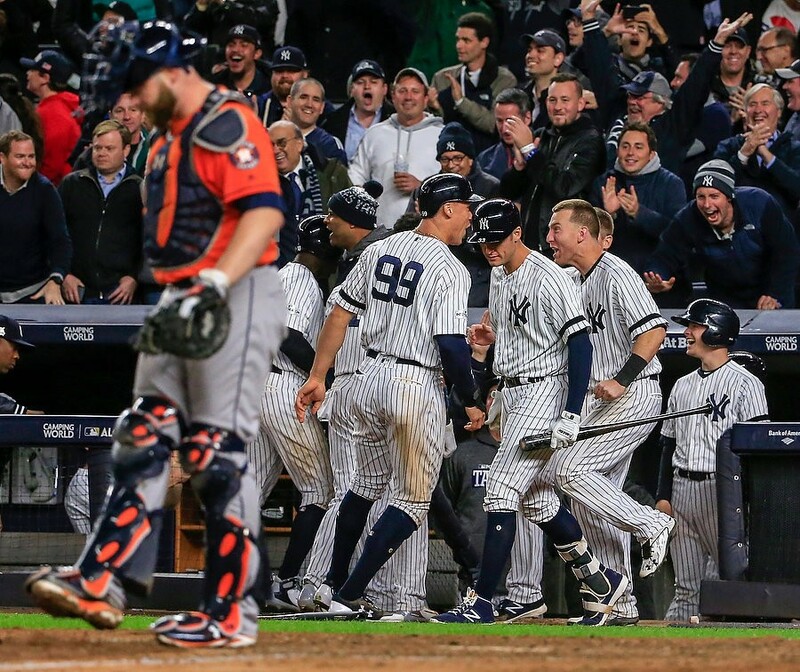 Still, the Yankees had chipped away and their bats were starting to show signs of life. The Astros pulled Musgrove to bring in their closer, Ken Giles. Brett Gardner hit a grounder to second baseman Jose Altuve who threw to first for the out but Frazier scored to make it a one-run game. Headley moved to third, and was replaced by pinch-runner Jacoby Ellsbury. 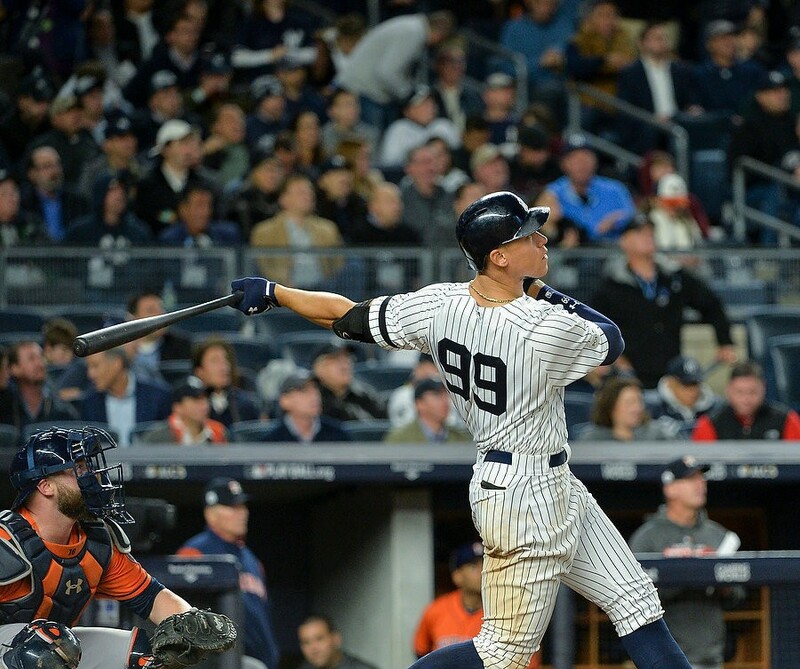 Aaron Judge doubled to left off the wall to score Ellsbury and the game was tied at 4. Didi Gregorius singled to left, a roller under the glove of shortsop Carlos Correa, with Judge advancing to third. It set up Gary Sanchez's double to the wall in right center to score both Judge and Gregorius. The Yankees had captured the lead, 6-4. On to the 9th inning and the awaiting arm of Aroldis Chapman. Chapman struck out fellow Cuban Yuli Gurriel and Alex Bregman for the first two outs. With Carlos Beltran due up, the Astros sent in pinch-hitter Evan Gattis to hit. I personally would have stayed with Beltran but Astros manager A.J. Hinch had different ideas. It didn't pay off for him as Gattis lofted a fly to left for the final out. The Yankees had overcome a four-run deficit to win the game and tie the ALCS at two games apiece. The Yankees win! Woohoo! 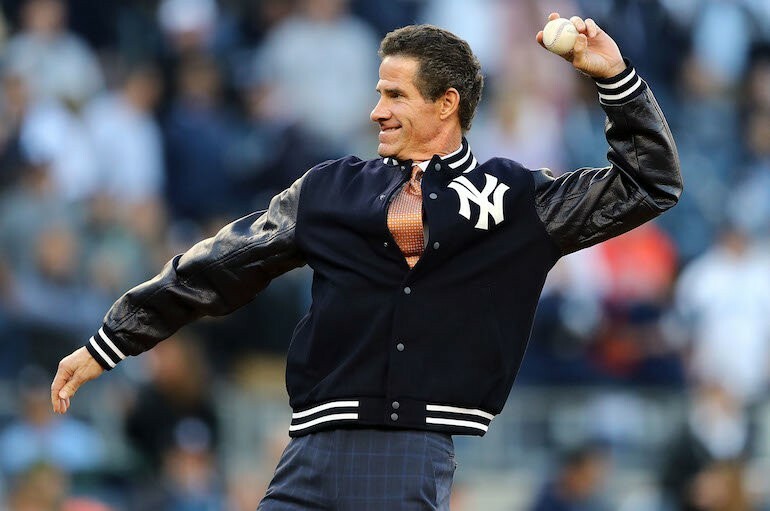 The ceremonial first pitch was thrown out by former Yankee great Paul O'Neill with Ronald Torreyes catching. O'Neill looks like he could still take a few hacks at home plate or at the very least, overturn a water cooler or two. There were complaints prior to the game about Joe Girardi's decision to have Austin Romine catch Sonny Gray with Gary Sanchez sliding to DH. I had no issue with the move. In the limited sample size since Gray joined the Yankees at the trading deadline, his ERA with Romine has been significantly better (3 starts, 1.45 ERA) than when El Gary is behind the plate (8 starts, 4.63 ERA). Among Matt Holliday, Jacoby Ellsbury and Chase Headley, there's no doubt that Headley deserves the next start at DH. I am disappointed see Holliday's Yankee career end on the bench but the simple truth is that he has not hit since returning from the DL after his bout with the Epstein-Barr Virus. I know that to get hits, you need at-bats, but the Baseball Gods have not smiled upon Holliday in the second half. It would still be cool if he could get a crucial pinch-hit at some point before the Pinstripes become a distant memory for him. Have a great Wednesday! Let's just get a win today. Only one win. Thumbs down, let's do this! Go Yankees!